Swift HAM SARAP NG PASKO Promo! Sharing with you some promos that I have found on facebook that you maybe interested to join, too. 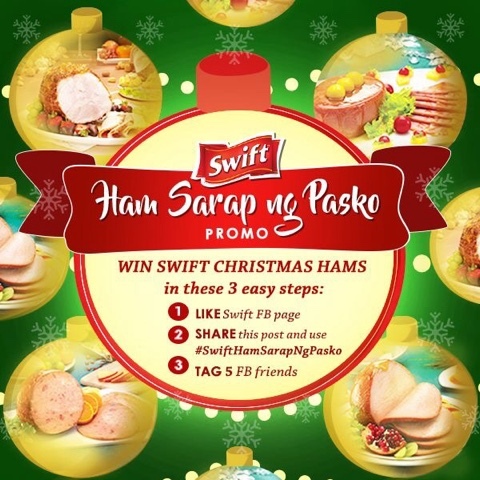 This coming Christmas, make your ham wishes come true by joining Swift HAM SARAP NG PASKO Promo! Time to stretch those fingertips now and be on like-share-tag spree to have more chances of winning. Also, please make sure your account is in public so we can view the shared post. Win a FREE Night Stay at Belmont Hotel Manila!